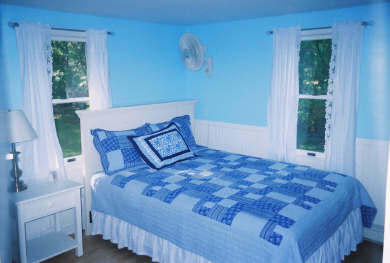 Simply beautiful year-round rental with NEWLY INSTALLED CENTRAL AIR CONDITIONING (6/18). 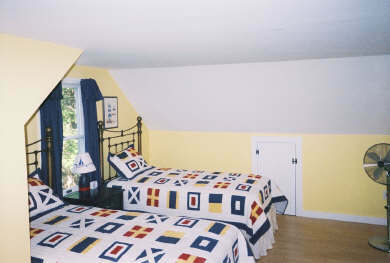 This Cape-style house has a wonderful Eastham location and was completely renovated in 2004 by the new owners. The lot consists of a child-friendly front yard and is located in very quiet and low traffic neighborhood. 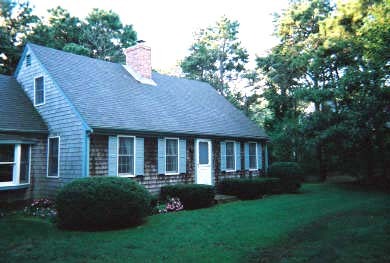 The home is adjacent to the Cape Cod National Seashore and affords close access to Nauset Light and Coast Guard Beaches and the Salt Pond Visitor Center. It is also a short distance from the bike and nature trails. Tennis courts and a track are available at nearby Nauset High School. Banks with ATM's, Eastham post office, video store, Ben & Jerry's, Dunkin Donuts, small food market and deli are all within 1 mile and without need to travel on Route 6. No parties - very quiet residential neighborhood. New driveway and parking is available for 3 cars. Main level: Enter into a fully equipped kitchen with a skylight, oak cabinets and cathedral ceiling. 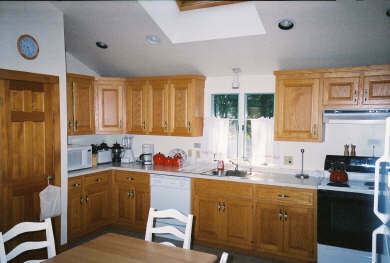 An eat-in area of the kitchen has a table which looks out of the bay window. There is a larger dining table at one end of the living room which seats 8. 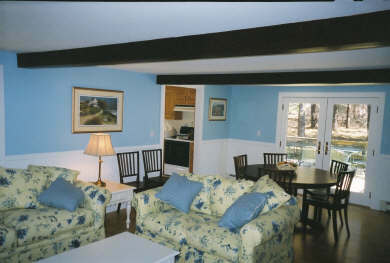 The living room is to the right of the kitchen, has new wood floors and bright, light bead-board walls. French doors lead out to the deck and enclosed outdoor hot/cold shower. 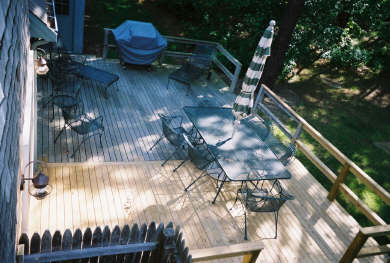 The deck is furnished for outdoor dining and lounging. Bedrooms #1 (queen) & #2 (2 twins) are on first floor and both have new wood floors, dressers, closets and wall fans. A full bath is near the bedrooms. 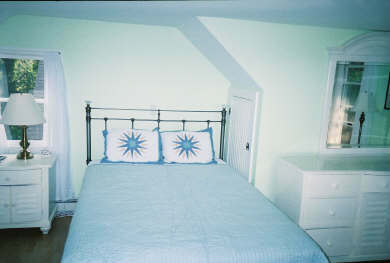 Upper Level: Bedrooms #3 (queen) & #4 (2 twins) are on this level. New wood floors are found throughout. 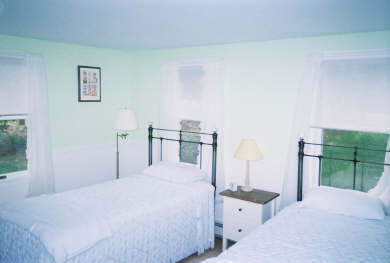 Both bedrooms have new dressers, closets, fans and share a full, newly renovated bath. TV's are located in bedroom #3 and the living room. Both have cable and DVD/VCR. Basement level: Washer and dryer. No use of fireplace. No smoking or pets. Additional pricing info: $2200/week June; $2400week July; $2500/week August - PLUS Rental Tax, State and local taxes of 12.45% will apply.